Say you want to smoke a little bud but not get stoned and not create that strong pot odor. Or say you want to have a cigarette and get that relaxed feeling that seems to handle anxiety, but you don’t want nicotine and you don’t want to create that strong stench of tobacco. There’s probably a market for something like that, thought two young, ambitious graduates from MIT — and they just opened a shop on Main Street in Medford as the launching pad for their hemp prerolls, which they call Plain Jane. Duane Dennis, co-founder and CEO of Plain Jane, and Lindsey Holthaus, the company’s chief of budgeting, finance and legal, puff one of their hemp prerolls at 42 Degrees in Medford, one of the stores that sell Plain Jane. It’s Mary Jane but plain: “smooth, clean, tasteless” and looks just like a normal ciggie, but it’s made of hemp. The inspiration for developing the product came from student days at MIT, when roommates Duane Dennis, an operations research major with a mechanical engineering background, and Evan Marshall, a data analysis major, realized they couldn’t toke any cannabis product without being a pest to others. The product delivers 50mg of CBD and less than .2 percent THC, so it won’t get you high and it’s legal to buy online. Plain Jane prerolls come in two-packs for $2.99 and eight-packs for $10.99. The company also sells vape cartridges and bulk flower. In addition, he adds, the product allows you to participate in the “ritual” of smoking at bars, parties, sports events — or just standing outside buildings — where it’s not normally allowed. Duane Dennis, co-founder and CEO of Plain Jane, says his company refines Oregon-grown hemp to create a smoother-tasting smoke that is nearly odor-free. 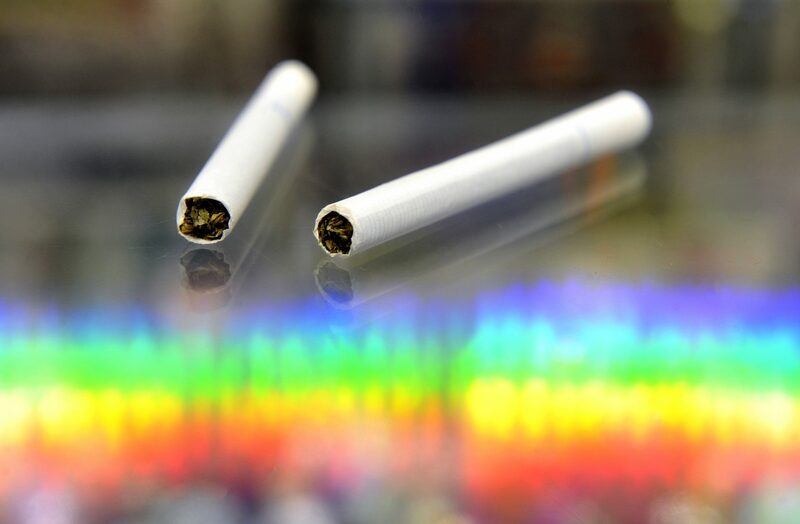 CBD is known for having a range of healing properties, but Plain Jane makes no claims for its cigs — other than mentioning the benefits of CBD in general. Time will tell whether it brings the benefits of CBD-rich gummies, tinctures, oils, etc., which, they say, cost a lot more than their cigs. They are working to build brand awareness, especially at colleges, and have reps on campuses in California and Massachusetts. They launched Plain Jane in Oakland, California, but picked the Rogue Valley for a base because, “Oregon has the most mature hemp program,” says Dennis, and has licensed hemp farmers since 2015 — the only West Coast state to do so. The work takes place at an Eagle Point hemp farm and barn — and they also buy hemp from local grows.